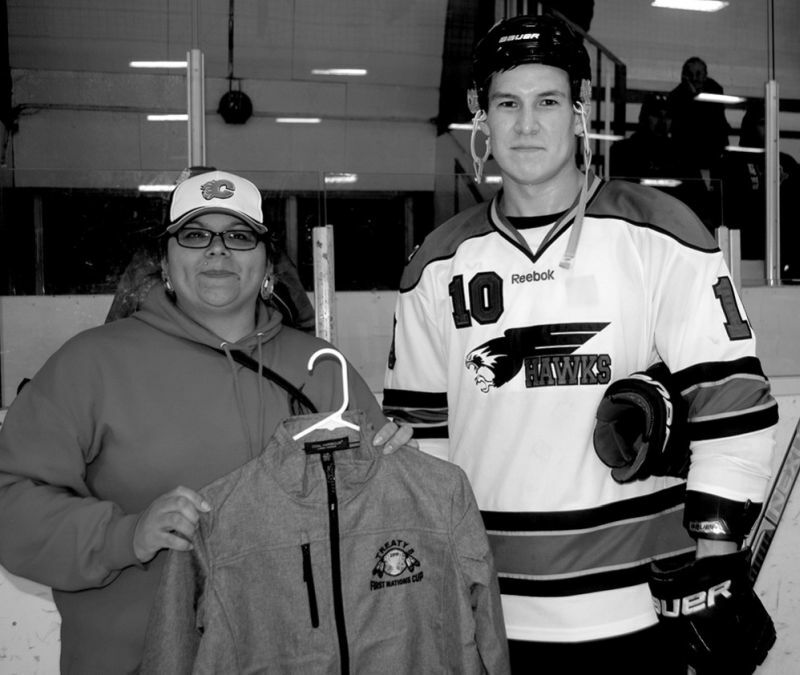 Most valuable player in the Men’s Division, Ira Gladue, right, of the Whitefish Lake Hawks, accepts award from volunteer Brandy Giroux. 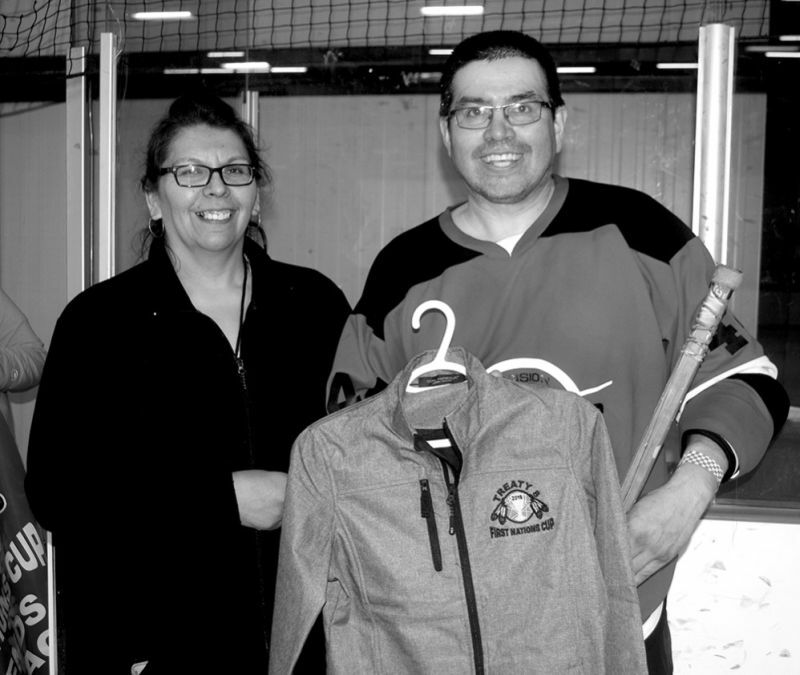 Most valuable player in the Legends Division, Morin Yellowknee, right, of Bigstone Cree Nation, accepts his award from volunteer Yvonne Hamelin. 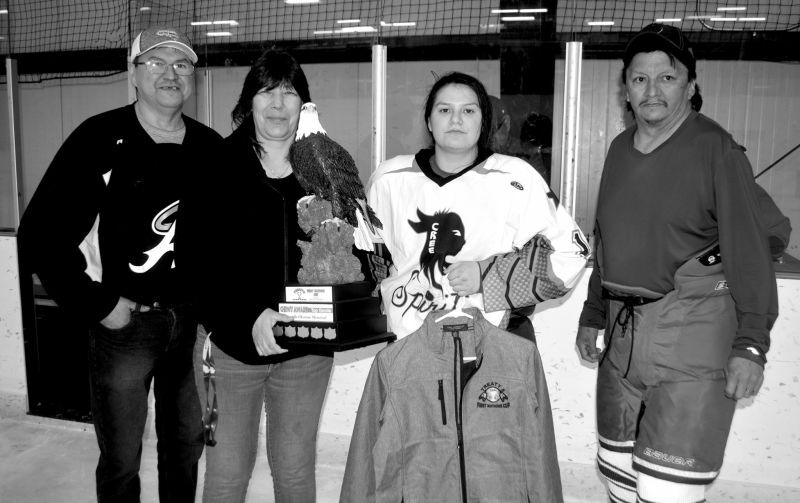 Most valuable player in the Women’s Division, Elisha Cunningham, of Driftpile First Nation, second from right, receives award from volunteers, left-right, Norm Laderoute, Karen Okemow and Leonell Hamelin.